I’m a comic book geek. A big, fat, hairy, judgmental nerd of near-“Comic Book Guy”-from-the-Simpsons caliber that gets as excited about comic book films as he is also terrified of them. I know these characters and stories inside and out, so while I may be giddy like a little school girl before they are released, I often want to vomit all over my shoes before kicking myself in the face after watching them. Nothing is more exciting and terrifying to me than the prospect of bringing something I’ve wanted to see since I was a toddler to the screen. It happened with Transformers, Spider-Man, and the ilk of the Marvel Studios franchise and so it was only inevitable that I was going to get The Avengers too, whether I wanted it or not. Well, of course I wanted it. I’m not an idiot, you know? There were points in this film where the characters were so like their comic book counterparts that I nearly teared up from joy. One of the biggest feats of this film, for me, was that they finally gave Black Widow a chance to shine. Iron Man 2 she was little more than scene dressing and didn’t really come across as an interesting character at all. With Whedon’s pen and lens he managed to sculpt her into something a bit more likable, awesome and human. The basic premise is that Loki is given an army to attack Earth by some unnamed puppet master that wants the Tesseract/Cosmic Cube. He does so and thus causes S.H.I.E.L.D. to ask for help from the documented heroes so far and have them try to stop this invasion and save the world. It’s pretty basic stuff but it allows each hero to show off their goods, play with each other and also beat the hell out of one another when they disagree. They eventually get things back on track and play nice, and when they do, boy is it glorious. You might wonder how the Hulk could possibly play nice with the others, and trust me, they cover that quite well. As a fan of Ed Norton’s version of Bruce Banner I really didn’t want to like Mark Ruffalo taking his place. 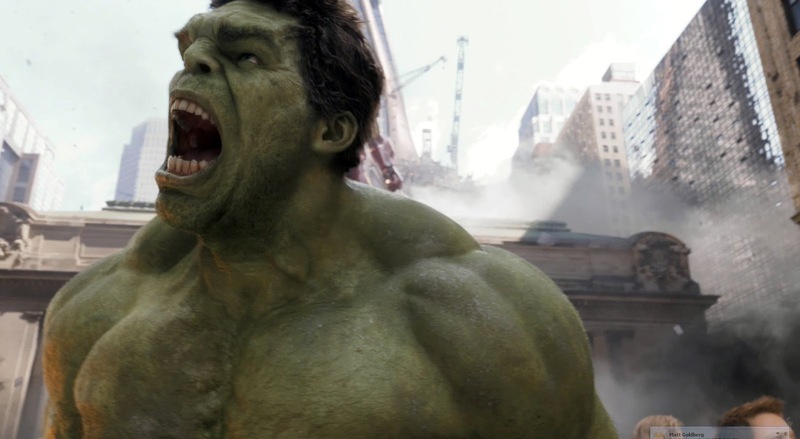 Thankfully, he does a decent enough job with the character, and most importantly, does a great job of acting out the motion capture for the Hulk. Hell, the Hulk actually has his likeness so it makes the transformation much more believable. SPOILER-ZONE: Read no further if you want to remain without spoilers and questions answered, however so many people have been asking me to reveal some stuff that I can’t help but include it here… just, you know, don’t read if you don’t want to know. 3.) Yes, Whedon kills a fan favorite character. I’m not going to spoil who, however. You can probably guess it anyhow. I do think, though, that the new, second after credits sequence they filmed recently is going to wind up explaining it and have the character survive. 4.) The after-credits sequence reveals who has been pulling the strings of Loki, and it is NOT The Red Skull. Let’s just say that the little Infinity Gauntlet easter egg in Thor is going to play a very important role. I just hope they get the Fantastic Four license back from FOX soon, so we can get some Silver Surfer action going on. If you’re a comic book fan, it’s very hard to be disappointed with this film. The Avengers delivers on so many levels and is what you’ve been waiting for for so long.